Anna P. Krolikowska, a partner in the Northbrook law firm of K & R Family Legal Services, L.L.P., focuses her practice in the area of family law. Anna realizes the impact family law matters have not only on her clients, but also on their families. From divorce and child custody to any judgment modifications Anna considers the unique circumstances of each case to develop a course of action designed specifically to address the client’s unique needs. As a litigator, trained mediator and a collaborative professional Anna is able to offer her clients diverse, and creative approaches to resolving marital disputes. Anna realizes that family law matters are very difficult for all individuals involved. She strives to treat each client with respect at all times and provides each client with attention and time they require. She works diligently to maintain open lines of communication, and provides creative options to resolving her clients’ concerns. In addition to her practice Anna is an elected member of the Board of Governors of the Illinois State Bar Association which oversees the operations and management of ISBA, a state-wide voluntary association of more than 30,000 members who strive to educate the public and improve the practice of law. 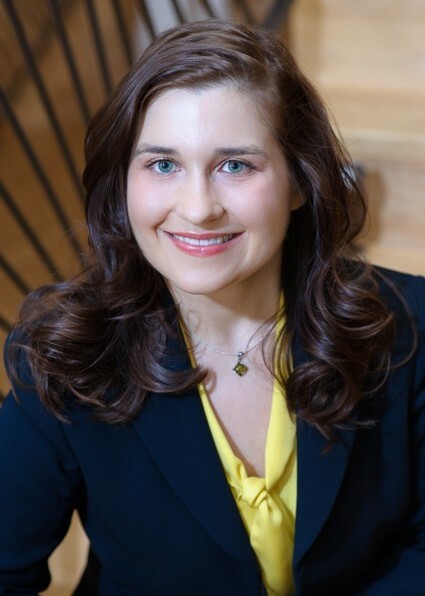 • In 2015 Anna was selected as a “Rising Star” in family law by the Illinois Super Lawyer Magazine, a designation limited to less than 2.5% of attorneys under 40 years of age in the State of Illinois. • In 2015 Anna was selected as an “Emerging Lawyer” in family law by the Daily Law Bulletin and Emerging Lawyers Magazine, a designation limited to less than 2% of attorneys under 40 years of age in the State of Illinois. Academy of Collaborative Practitioners. Finally, Anna is also an active member of EPWNG, the Exclusive Professional Women’s Networking Group (EPWNG) a forum for working women focused on introducing extraordinary women to one another, and the North Shore LAW, an association of women attorneys possessing high quality legal expertise and experience practicing law in the northern suburbs of Chicago. Anna is an adjunct professor at Loyola University Chicago School of Law and teaches an advanced family law seminar aimed at honing legal skills of future family law attorneys.